As the list of presidential candidates continues to grow, Bernie Sanders proves to be one of the most promising candidates. 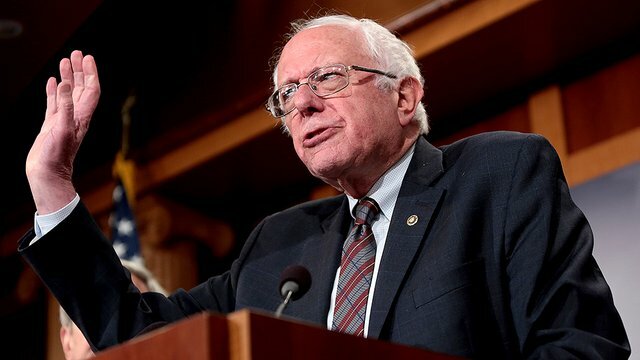 United States Senator Bernie Sanders recently announced that he will be entering the 2020 presidential race and neither him nor his supporters have shown any sign of discouragement following his 2016 defeat. In the 24 hours following his announcement, his campaign raised nearly $6 million in donations from over 250,000 individuals from all 50 states. The average donation per individual was $27. Considering Sanders’ close defeat in 2016, it is no surprise that he is making a comeback. He ended the 2016 primary with 43 percent of the national vote, but is now polling below 20 percent nationally. Although Sanders was lost in 2016, 2020 may be the year he claims victory. Sanders has an advantage that may serve him well during his upcoming campaign. Although Sanders does not stand a chance at winning one-on-one fights with strong political candidates, a multi-way political clash may be his ideal environment. For example, in the 2016 primaries, Sanders ended with almost half of the national vote, but did not stand a chance at beating Hillary Clinton, his Democratic opponent, later in his campaign. Clinton was not threatened by his campaign strategies and did not feel it was necessary to attack him as she did with other candidates. When beginning her presidential campaign, Clinton had more organization, support and experience in the Democratic Party, so naturally, Sanders was beaten. Sanders was able to build himself a solid support base of millennials and anti-Clinton voters, but that was not enough to propel him to the nomination. Despite this obstacle, Sanders has a strong chance at winning the 2020 primary because of his established and dedicated base. Primaries tend to involve unknown candidates getting media coverage and catching attention from votes until they are unable to continue. Sanders, however, is well-known and has supporters are not just jumping on a bandwagon. This undying support will show to be useful during the crowded primary environment. “I think Sanders is what the country needs right now. After four years of corruption and fascism coming from our own government, Sanders’ ideas, although controversial, will bring the country back to how it was before the Trump administration,” sophomore Clara Alonso said. The feasibility of Sanders’ campaign is also proven through his standing on certain issues and policies. From a financial standpoint, Sanders would bring more drastic changes than other Democratic candidates. Although his radical idealism may seem excessive and expensive to some, Sanders may be exactly what the Democratic Party needs. According to the CNBC, Sanders introduced a bill to transition to Medicare for All, a system where all Americans would get healthcare provided by the government, in 2017, and he pushed to raise the minimum wage to $15 per hour calling the current one a “starvation wage”. Sanders’ radicalism may be essential for our nation’s growth. He also wishes to expand the estate tax, a tax paid by a person who inherits money or property or a levy on the estate of a person who has died, to protest wealth inequality, and in October of 2018, he introduced a bill that would restrict financial institution sizes, which would break up banks. Sanders has unique economic policies unlike those of other candidates, which may be the key to financial success in our nation. Some of his other political decisions include a plan to make community college tuition-free and terminate tuition at four-year universities for students from families with income of $125,000 or less and plan to reshape the U.S. economy to cut carbon emissions and address climate change. “By the time the 2020 elections come around, I will be of age to vote. At the moment, although there is still time for people to announce their candidacy for president, I am almost positive I will be voting for Bernie Sanders in the primary elections because his ideas represent everyone, not just the one percent,” sophomore Andrew Rodriguez said. Overall, it may be said that the viability of Sanders’ 2020 campaign is evident by his advantage in crowded political crawls and his committed supporters. Sanders’ campaign will no doubt change the ideals of the Democratic Party exceedingly during this upcoming election.